On behalf of over 24,000 residents, I wish to welcome you to Moon Township, Pennsylvania! 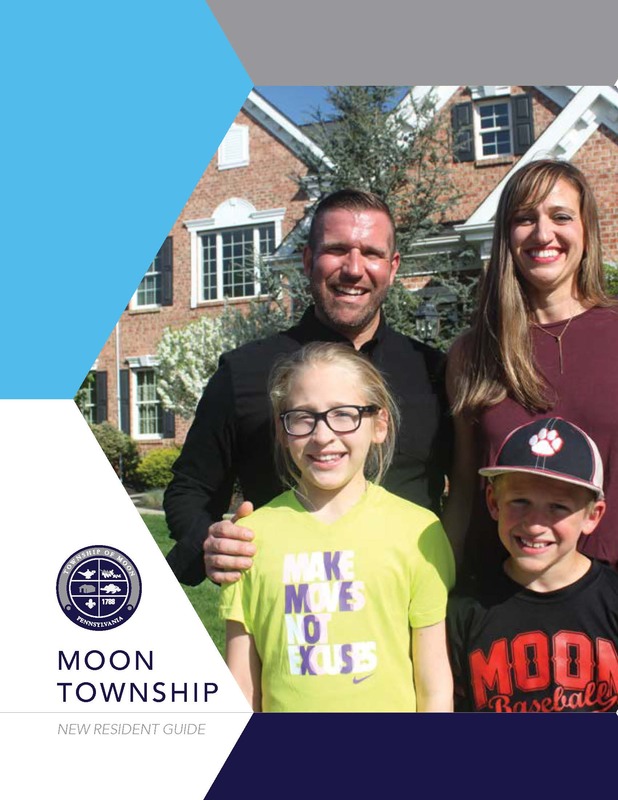 Moon Township is known for its excellent schools, quality of life, active community and strategic location. This is an exciting time for our township. Moon Park is undergoing much construction in 2018. The highlights include a redesigned playground featuring all new equipment and splash pad and the addition of a Miracle League field. Two senior living facilities are under development, which will make it easier for our aging seniors to continue living in the township. Several proposed road improvements will open new areas for business. The Moon Area School District continues to receive acclamations. And Robert Morris University will complete its new 140,000-square-foot events center, offering the region an attractive new venue for public speakers, conventions, expos, concerts, graduation ceremonies, and family entertainment options. While we look forward to a bright future, we always remember our history. The story is that settlers arriving in what is today the western portion of Allegheny County named the region “Moon” after the crescent-shaped curvature of the Ohio River. From men like John Meek, Robert Loudon and John Vail who received the first land grants that eventually formed Moon Township to the Mooncrest residents who produced armor plates, munitions and ships during World War II to the aviation pioneers who opened our township to new businesses, Moon Township has enjoyed a long history of growth and prosperity. I think I can speak for our township Board of Supervisors and staff when I say that we take our responsibilities seriously. Our 2018 budget allows us to continue with capital improvements, maintains our street program, allows for stormwater improvements, adds two new employees to our public works crew and increases parks and recreation programs. We’re able to do all this without increasing taxes. So again, welcome to Moon Township! Get involved in the community, study a new interest, support the local businesses and enjoy the parks and trails. We’re so glad you decided to Make It Moon! It’s a great place to live, learn, work and play.